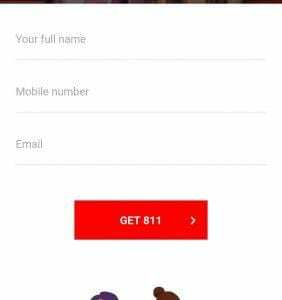 Kotak 811 Account Online:- Hello Bigtricksians, Today i am here to show you how You can Open a Kotak 811 Account online in Just 5 Minutes & Get Exciting Cashback Offers from Online Stores Like Flipkart & Amazon Plus You Can Create a New Account with New Number & old Adhaar Number and use this account to Get All UPI Refer & earn offers From Phonepe & Tez. I Have Published about Axis ASAP where You will be getting Rs.150 BMS Coupon & UPI Account But the Problem was The Adhaar Number & Registered Number must be same on Axis Asap but on Kotak 811 You can Use new Mobile Number with your old Adhaar Number. so, Guys, you will have a Bank Account with Your Alternative Number & You Can Avail All UPI offers Like Bhim UPI – Send Rs.51 cashback, Phonepe Hotstar offers, Tez Scratch Card Offers each Two Times Means You are going to double the earning.You will also get Lot’s of Offers from Kotak like Keep Your Average account balance 5000 & Get a BMS Rs.150 Assured Gift card so Guys create an account Kotak & Start looting. Kotak811 is simple to use at zero charges. There is no minimum Bank account balance limit. You can have 0 balance & still avail all the services of kotak811. There is no hidden charges for usage of Kotak 811 bank account. You can open Kotak account online by just your adhaar number & Pan number. You will be required to verify your adhaar number using OTP & no verification for Pan number. You must be 18+ to use these services. Once you open the account using adhaar number (process below). You will be required to complete your KYC. you have to do anything. Kotak team will call you and fix an appointment. 3. You, Will, Receive an OTP on The Number You have Entered. Now Select to DBT if You have asked ..
5. Once Your Adhaar is Verified Enter Your Personal Details like Name, Age & Nominee. 6. On next Step Enter The PIN to Setup for The Debit Card and Confirm all the Details. 7. You will Get a New Account Opened on Kotak 811.Now You Can Get exciting offers mentioned below. 8. Please Wait for 24 Hours to get this account Appear in UPI Apps. 3. 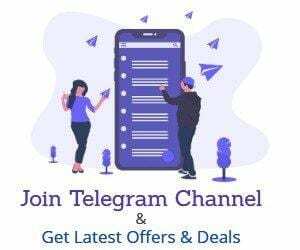 The merchants participating in this Offer shall hereinafter be referred to as participating merchants. 4. The Bank reserves the right to extend this Offer to any group of Customers, which it may deem fit. 5. The Offer is valid only on successful transactions done. Reversed, cancelled transactions will not be considered to be eligible for availing the benefits of the Offer. 6. The Offer is valid only on transactions done on mStore in the Kotak Mobile Banking App. 7. The Cashback shall be valid only on one transaction per CRN per day. 8. Maximum cash back under this offer will be Rs 5000 per CRN. 11. The Bank reserves the right to change the terms and conditions of the Offer, including, extending, withdrawing or discontinuing the same without prior notice, at the Bank’s sole discretion. There is no Fees & Charges for Opening Account on Kotak 811, You Can open Account at 0 balance & There is no Minimum Balance Requirements. Yes, You Can Open This Does not Required Any Branch. 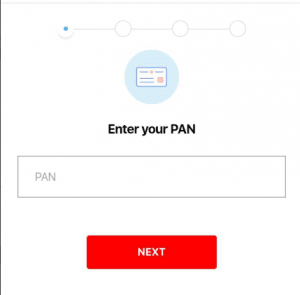 Yes, pan card is required.